An alleged illegal gambling operation situated in North Phoenix was shut down by the Arizona Department of Gaming. According to a news release of the Department of Gaming, a couple of days ago, police raided and searched Toso’s Sports Bar and Grill and Real Poker in Phoenix in an action commissioned by the Arizona Department of Gaming. The raid warrant came as a result of a seven-month-long investigation of the Department under suspicions that illegal gambling operation has been taking place at the aforementioned location. As seen on a flier provided by investigators, the business, located near the I-17 and Union Hills Drive, has been advertising itself as a gambling and social club which services were provided to “members only”. As revealed by officials, the allegedly illegal gambling machines were seized by police officers along with the proceeds. 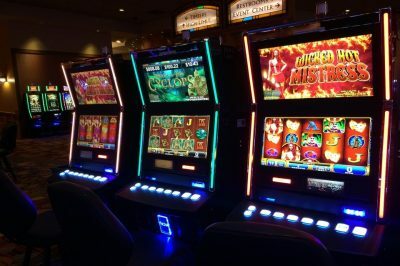 In addition, multiple suspects could also face charges of a class-five felony offense, which could include illegal control of a gambling hub, promotion and benefiting from gambling activities, as well as unlawful possession of a gambling device. The seized illegal gambling devices and gambling proceeds are to be submitted as evidence to the pending charges at the state Attorney General’s Office. 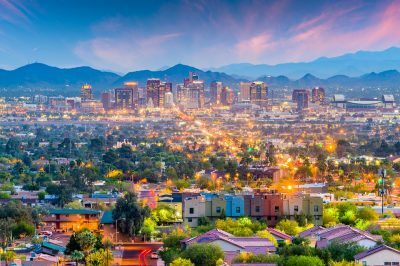 The Arizona Department of Gaming’s interim director James Ashley said in a news release that the Department remains focused on proper regulation of the local gambling industry, protecting the public and making sure that the Gaming Compacts inked between the state and the local Indian tribes are complied with. Mr. Ashley further shared that business owners who are found to be offering illegal gambling activities in their premises will face criminal investigation and could be stripped of their liquor and other business operating licenses. For some time now, gambling campaigners have been trying to expand the state’s regulatory framework regarding gambling. However, for the time being, these attempts face the solid opposition of Arizona’s gaming tribes who have raised their voices against the proposed changes, claiming they violate their gaming compacts with the state. Under the deal, the local Indian tribes are provided with the exclusive right to operate and offer casino-style gambling in return to a share of their gambling profits. At the end of 2018, a piece of legislation was filed by a state lawmaker for the 2019 legislative session, with the bill seeking to expand legal gambling operations in Arizona by lifting the ban on state-run Keno. According to the sponsor of the proposed bill, the gambling expansion would help the state get more money for its coffers without necessarily raising taxes. Previously, another bill seeking to legalize Keno failed after the Navajo Nation opposed, saying that the proposed piece of legislation violated its gaming compact with the state.